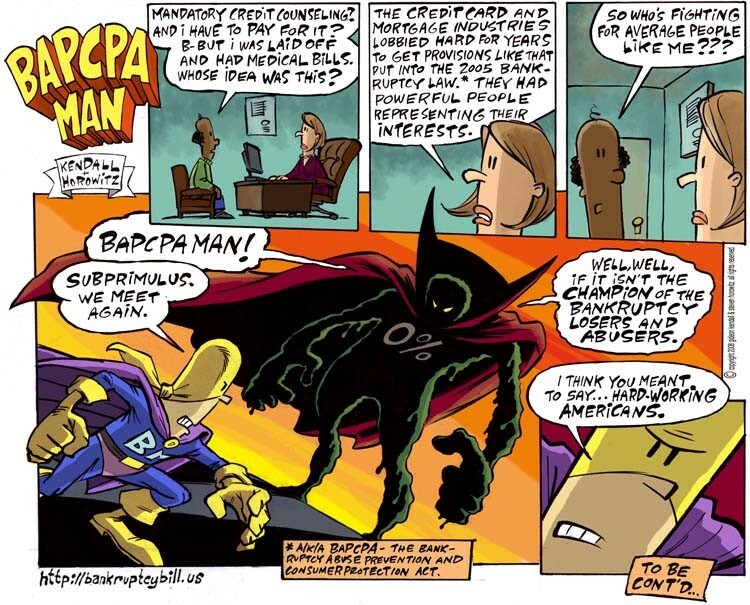 In the past two weeks I posted the two debut strips of BAPCPA MAN , the new comic strip from New York bankruptcy attorney Steven Horowitz and and artist Gideon Kendall. Here is stip number three. BAPCPA MAN  is designed to entertain both consumers and bankruptcy attorneys.